I wanted to make some pies. Five pies, because that’s what could fit in my oven plus the one I’m bringing for my family.The Presbyterian Church soup kitchen in Ossining was having a dinner. They said they could use some. Ingredients were cheap. Baking them was easy. 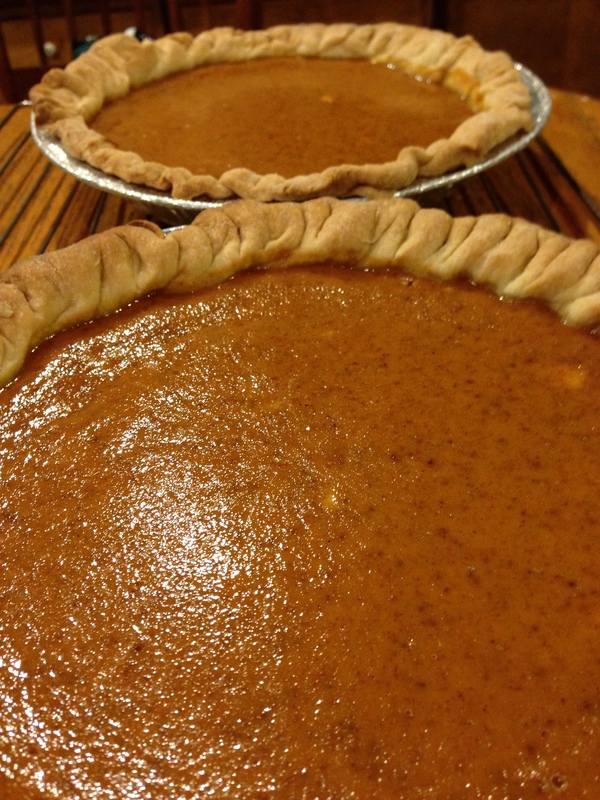 Now there will be a few more pie-happy people at Thanksgiving. Best wishes to everyone this weekend. Keep warm and safe. I’ll be writing again when the leftovers are gone. My favorite is chocolate pecan, but that’s too pricey to make in quantity. Pumpkin pie is on almost every menu. Not mine. But I applaud your contribution to the rest of them.